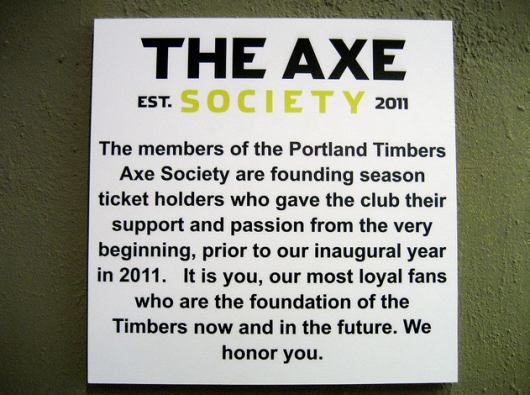 Note: For fans to maintain their exclusive Axe Society membership, the team has noted that they must invest each year in at least one (1) Timbers full-season seat. 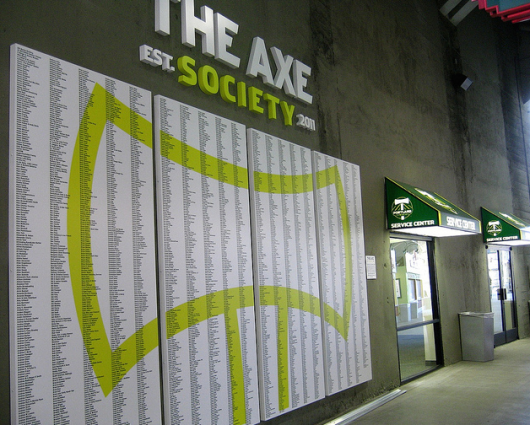 While creating a fan club to honor fans during a team's inaugural year is not a relatively novel concept in sports, what's extraordinary in this instance is the Portland Timbers' execution of The Axe Society. The team has done an exceptional job bringing the program to life, featuring prominent displays throughout Jeld-Wen Field and delivering a number of exclusive benefits for fans. The Portland Timbers have quickly emerged as a first-class organization and their new stadium facility is pretty remarkable. 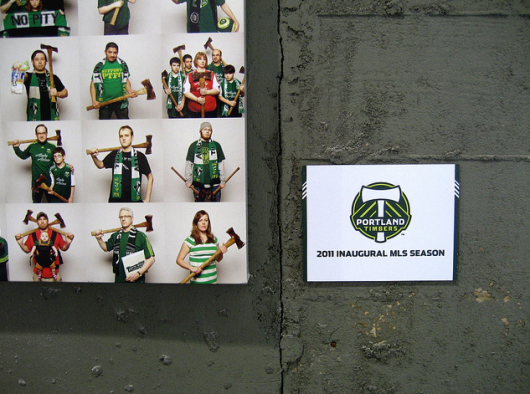 Check out some photos of Jeld-Wen Field here.